To visit this islets group means discovery in Undiscovered Land of the world. 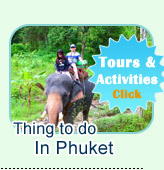 Jc.Tour had set up the package for the tourist who love to discovery in the undiscovered Land. This trip is very special for the one who never like to follow any one's story. This is the trip to make you being the first of the destination. We do the tour trip to meet with the new land of Mergui Archipelago (804 Islands altogether.) Jc.Tour chose the real undiscovered Island and beautiful of nature. We very recommend you to see the highlight picture of the place with detail and read the program carefully, before submit the booking. Or if you need more detail, just contact us at +66895727603 or What app +66848053153 to discuss with our specialist about Myanmar's Islands, before submit the booking. The undiscovered Islands and Beaches. At Nyaung Wee Island Group of Mergui Archipelago: 115 Island, Pony Island, Moken Prince Island and Powder Beach Island are the real virgin. And 3 of them are undiscovered Islands. The sand is filled like a powder for face, the water is real clear like the crystal. And the important is that your feet is the first print on the beach today. What about the Coral Reef? All kinks of Coral Reef can be seen very easy all around the Area, because of the islands Group in this area are so virgin. So, you can do the snorkeling as long as you have power to do this. All beaches and Islands are Real Virgin. Amid the Andaman Sea of Myanmar, We discover the undiscovered islands. Island to the Island by Kayaking. After reached the beach, start to discovery both on the land and under water. The virgin completed of marine life: Coral Reef and all species beautiful fishes. This tour program take the people to the Mother of Moken Area, All islands (42 Islands) are small, smaller, big and bigger sizes. But the marine life under the sea is very fertile. You can see a million of fishes mass, all spices of beautiful fishes, and all the other marine life. And all the beaches of every islands are undiscovered from the other tourist. Yes, we are going to see all of them (Or at lease, until you said "Enough"
The high standard clean and comfortable tents has been fixed on the land connected to the beach and the back is the tropical and safari. To makes sure that you will be sleep happily all night, we service all night electric and jctour'staff (As Tents Service Boys) service as all night. To makes sure that you can enjoy your special dinners under the Moon light on the beach, the classic Dinner will be takes places on the beach. We use the real fresh seafood (Prawns, Crabs, Fishes and Squids. All of seafood will be settled from the Sea by local Fisherman. Day 1 08:30 AM: Pick up from every hotel in "Kawthaung Province Town"
08:30 AM: We leave from Ranong by Speed Ferry to Kawthaung Province (Myanmar), It takes just 10 Minutes by ferry. 08:40 AM: Arrival Kawthaung, We stop for 15 Minutes, you can go to look around the small town of Kawthaung, Myanmar as our staff use 15 minutes to stamped in the Visa for Myanmar. 09:00 AM: We leave from Kawthaung directly to Mergui Archipelago and run fast truth to Nyaung Wee Islands Group. 11:00 AM: Arrival Beach Surrounding Place (3 Island is on around you with their very nice beach -undiscovered beaches.) We stop on undiscovered beach - very soft white sandy beach. Start to do the snorkeling from the beach. For sure you will like it. - Our staff carry you by canoeing cross to the other island's beach, very nice as well and snorkeling. Afterword, you can swim pass the rock pile to the other beach. Yes, very very nice too. 13:00 PM: Arrival the Moken Prince Camp. Nice, Clean and Comfortable Tent is fixed on the Wooden Structure Panel. Check In. We serve nice Buffet Lunch at the Seaside Wooden Restaurant of Moken Prince. 15:00 PM: The Sun a little bit down, the weather is cool down, but the water still be very clear. We surprise you by start to do the snorkeling from your room beach. - Real nice place for snorkeling: Variety of Coral Reef, Beautiful Fishes and Coral Reef. As long as you like. Our staff paddle the canoe to look after to make sure that every one is fun and safe. 17:00 PM: Relaxing on the Beach. 18:00 PM: Our staff set up the . "The classic BBQ Seafood Dinner with Fire Bone on the beach.."
- See the Starlight over the night as late as you like. Before Sleep. 07:00 AM: Continental Breakfast serve with Hot Coffee and Tea. 08:30 AM: Early Morning, we start to do the snorkeling at 115 Island. This island is so nice for snorkeling. And swimming on the Beach. 10:00 AM: We arrival "Long Beach" (Undiscovered Beach.) Conected to thick jungle and the real white softly sand beach is between. The water is clear like a mirror, you can do the Snorkeling from the beach and relaxing. 11: 30 PM: We come back to "Moken Prince Camp." Check Out. 13:00 PM: Take the boat, and the speed boat run fast to visit the "Mother Village of Moken"
- Arrival the Village, The tour guide show you the place - Seeing the rare difference traditional of Moken, The school, Temple and Moken Souvenir Shop. 14:00 PM: The speed boat run fast directly to Kawthaung. 16:00 PM: We arrival Kawthaung. The staff use about 10 minutes to arrange about the document. 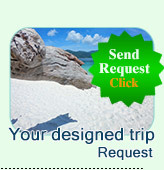 - For Customer :who stay on Kawthaung, The car transfer you back to the hotel in Kawthaung. 16:30 PM: Leave from Kawthaung to Ranong. 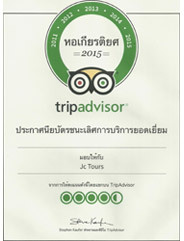 17:00 PM: Jc.Tour Minibus picks up from the pier directly to your place in Ranong Province. Extra Pay for Stamped In and Out (Thailand-Myanmar-Thailand) 50 USD/Person. This fee, you can pay directly to Immigration Officer. All Meals Breakfast 2 Lunches and Classic Seafood BBQ Dinner on the Beach. All entrance Fee to the places and Documents.